One of the most common concerns by Seedbox users is not about the BitTorrent upload/download speeds within the server itself, but rather on FTP speed in which the files are transferred back to their home/local machine. Firstly, let’s clarify that if the download speed on your local machine is 1Mbps, you can not bypass that speed. Same with 100Mbps for that matter. 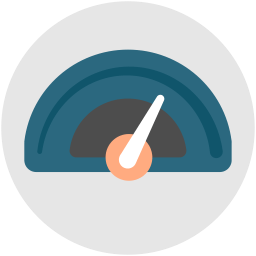 For faster download speeds, we would naturally advise upgrading your speeds at your ISP. In addition, a wired connection is ideal for this. While WiFi connections may be the bottleneck in cases where old wireless protocols are used in your router. This can be worked around by using a wired connection or upgrading to a faster Wi-Fi standard, such as wireless N.
In this article, we will try to explain two concepts that will help you maximize the download speed from your server/seedbox to your local machine via FTP. The concepts are parallel downloads and segmented downloads. Parallel downloads, also known as “concurrent downloads” is the ability to download several files at the same time using FTP. FTP Clients that support this option will create multiple connections to the FTP server to download files at the same time. This concept is really helpful if you are trying to download a folder that has many files. Using parallel download, you can download several files concurrently. Let’s say that the FTP server has a bandwidth limit per session. Opening 10 concurrent sessions via parallel download will potentially bypass the per session limit and will help you maximize your download speed. A Segmented download is essentially the ability to break a large file into small pieces (a segment), download all pieces simultaneously via multiple FTP sessions and recombines these pieces into a single file once all segments have been downloaded. This concept has been introduced for the first time in download managers like FlashGet and is very common in nowadays. Some FTP clients have been applying this feature that can definitely help you maximize your download speed. During active download, temporary parts of the same file will be generated which will be recombined upon completion.